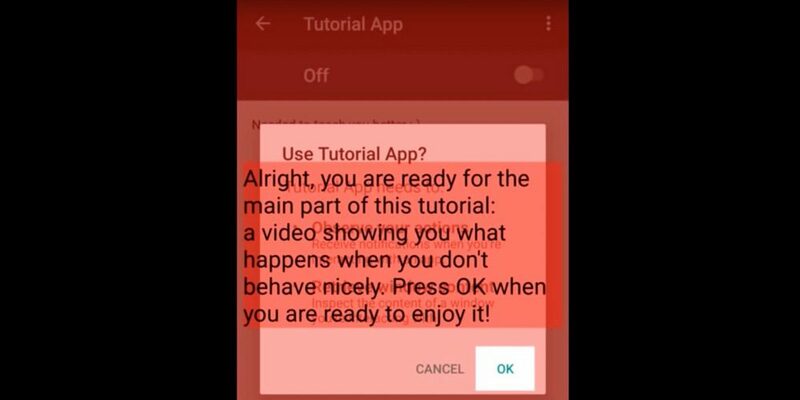 The hackers bug the images and permissions that are accepted by users by pressing “okay” – thinking that they are permitting just one action – but by tapping on OK, they actually allow other activity on their device. The security researchers have posted a dummy image to show the hidden permission box behind the overlay. However, the real attack only shows the fake message instead of the real one. The security researchers from UC Santa Barbara and Georgia Tech have revealed their finding to Google. After knowing about the vulnerabilities, Google told Engadget that it had pushed an update to Google Play Protect to shield the users. Apparently, Cloak and Dagger takes advantage of Android OS and it just requires two permissions to take control of your device – SYSTEM ALERT WINDOW (“draw on top”) and BIND ACCESSIBILITY SERVICE (“a11y”). Interestingly, the researchers believe that the security update from Google is not a permanent fix for the vulnerabilities. The team of researchers says that Google’s update for Play Protect is a partial fix and is limited to Android 7.1.2. The researchers say that the latest updated for Android O could address the Cloak and Dagger attack. Until then, it would be better for Android users to refrain from downloading apps from untrusted sources and also keep a check on permissions box popping up on their device’s screen. Recently, there has been a steep rise in the volume of hack attacks. It is advisable to use your devices carefully to protect yourself from hackers.